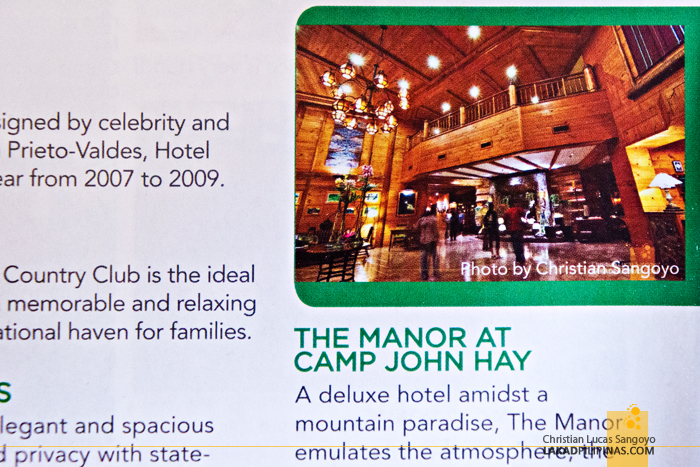 North Bound magazine’s twelfth issue features Baguio City, my all-time favorite city in the country—I can go there every month and enjoy it every single time. 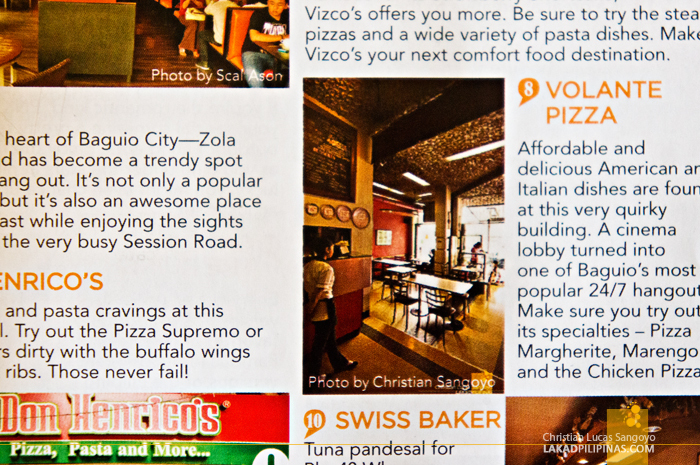 And I’m lucky enough to feature some of the best places to eat in the city through my photos. 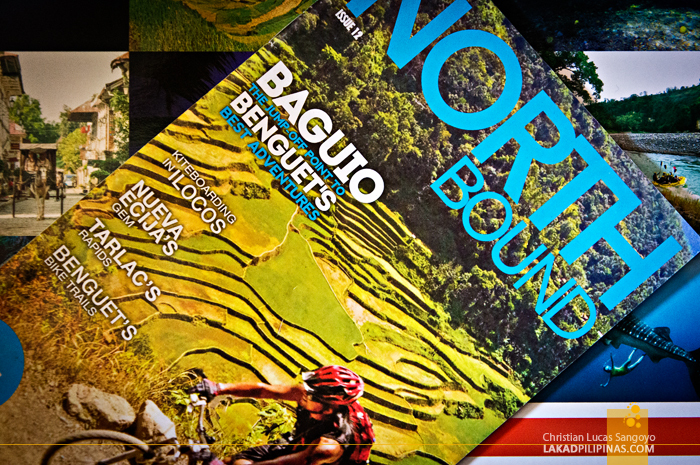 North Bound is a free mini-magazine—usually distributed on hotels and restaurants—that features the northern provinces of the Philippines. 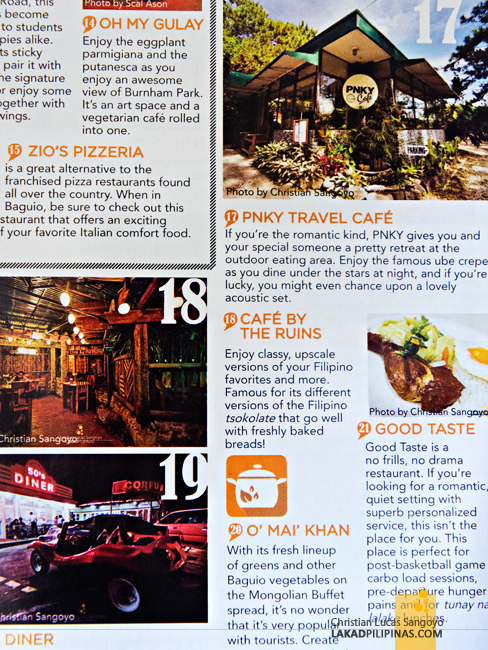 The article is divided into two segments; the first one is their Best Eats Along Session Road, which features my photo of the Pizza Volante interiors. 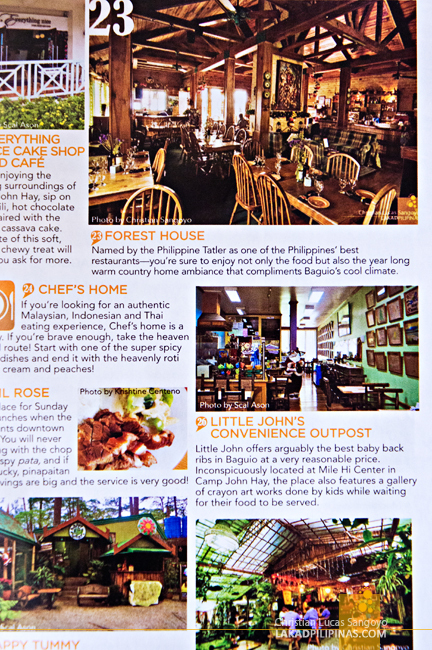 The second one is simply titled Best Eats, featuring all the other food places in Baguio City. For this one, I was able to contribute photos from Café by the Ruins, 50’s Diner, PNKY Travel Café, Good Taste, Forest House, and Choco-late de Batirol. Granted, the published photos may be on the smallish size, the magazine being just a bit bigger than an average pocket book. 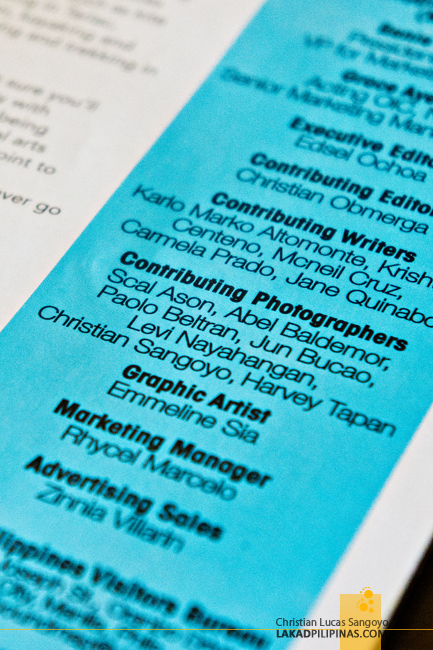 But still, it was a pleasure contributing photos to my favorite city in the Philippines; big thanks to North Bound magazine. And you know it by now, I’m again craving travel to Baguio City once more.